Drew's 1951 Microbus was the oldest bus in attendance. This one is like a time capsule, with an amazing original interior, right down to the Continental cargo area mat. Rick C's and Dave's outstanding Barndoor Deluxes were front and center on "Barndoor Island." Dave's 15 Window and Eric's 13 Window. Part of the impressive Barndoor lineup (10 to be exact!). From right to left Mark M's 1955 Microbus, Dean's bookend 1955, Todd's Single Cab and Panel, Justin's Single Cab, Jim's Microbus and Rick's Single Cab. Clean Double Cab from Lavere's in Concord. Montana drove his sweet 1959 Panel from Reno (in the snow!) and won the Long Distance Award. Another row of clean buses! Thom's 1957 Single Cab, Tom's Westfalia and Jim's 1955 Single Cab. 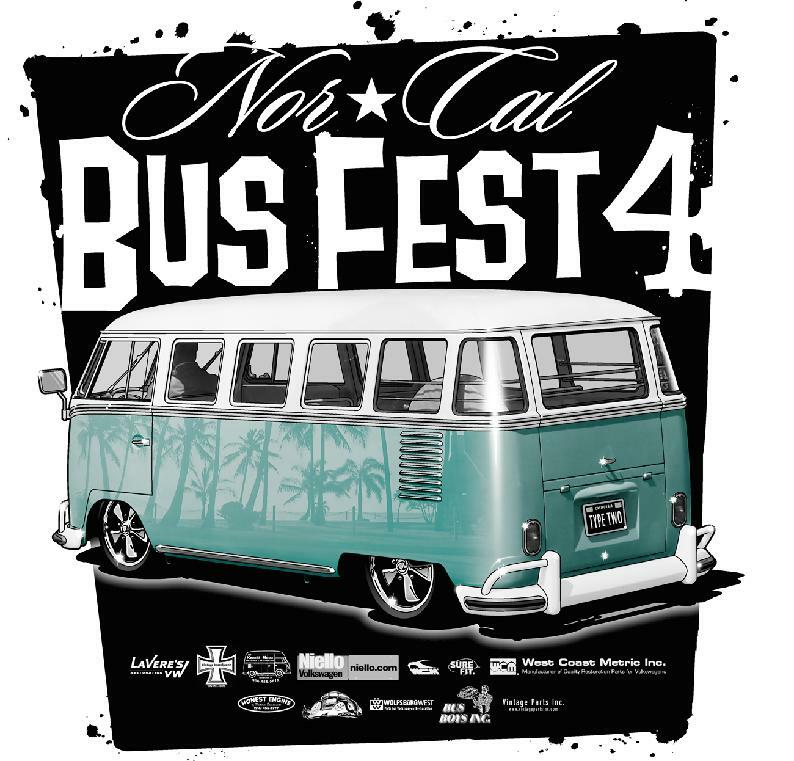 Early to late buses are what Bus Fest is all about! The Double Cab belongs to Steve from SSF and the Eurovan is Tony's. The Barndoor Microbus lineup from left to right, Drews 1951, Mark's 1955 and Dean's 1955. The two '55's have been off the road and unseen for close to ten years...thank you for bringing them out for us to enjoy!